Date: Oct 27 2018, 8 p.m.
Join Kazabra Club for a Thriller Halloween Party! 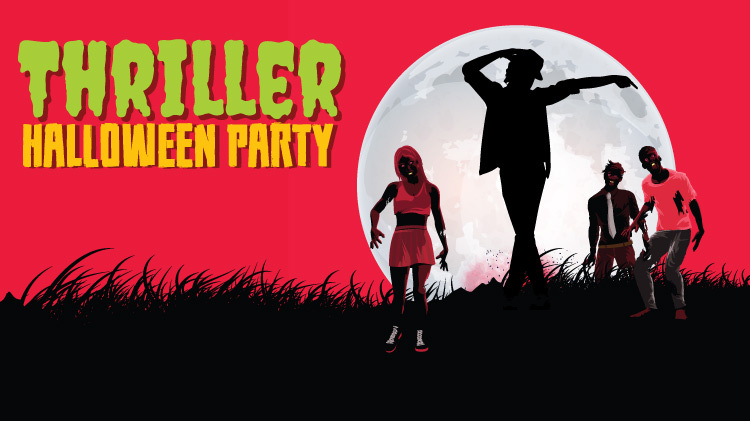 Come dressed as your best Michael Jackson or a zombie. Learn some of the dance moves from the famous Thriller video and be prepared to be part of our version for a live flash mob. Open to ID cardholders, ages 18 and older. Don't miss this exciting Halloween celebration! $5 cover charge, or dress as a zombie for free entry.